Mad About Meghan: How to Watch the Royal Wedding & Win a Pair of Meghan's Finlay London Percy Sunglasses! How to Watch the Royal Wedding & Win a Pair of Meghan's Finlay London Percy Sunglasses! Hello reports it is practically guaranteed the wedding will be streamed live on the Royal Family's YouTube Channel, as William and Kate's was in 2011. The coverage of the wedding remains in the channel's most viewed videos. This will be the ultimate resource for those following the day via a streaming platform. The Royal Family Channel (not the official YouTube address but a terrific resource) plans to Live Stream the big day. Good Housekeeping reports CBS News will begin their Live Stream at 4 a.m. ET and you don't need a cable subscription to watch. Vogue reports the New York Times are planning a Live Stream as are a number of other main networks. For those with subscriptions, BBC America and BritBox will have online streams. As noted above, I will have Live Streams embedded into the top of our Live Blog with links to others. Live Televised Coverage?... For those of you planning to put your feet up and enjoy the day by the television, you will most certainly be covered. ITV - Coverage begins at 9.25 am BST and runs until 3 pm. The network will broadcast live, comprehensive coverage of the Royal Wedding of Prince Harry and Meghan Markle, presented by ITV News at Ten’s Julie Etchingham and ITV’s Phillip Schofield, anchored live from a specially constructed studio on The Long Walk in Windsor. Harry and Meghan -The Royal Wedding with Julie and Phillip joined by a range of guests including those who know Prince Harry and Meghan, as well as friends of the Royal family. Joining Julie and Phillip for live coverage of the day will be a range of ITV’s news presenters and reporters. Mary Nightingale will be positioned at Windsor Castle spotting and interviewing guests as they arrive, accompanied by a line-up of fashion experts and Royal commentators. Rageh Omaar will exclusively join Sentebale, the charity co-founded by Prince Harry, for traditional wedding day celebrations in Lesotho. Rageh will be live from the ‘Mamohato Children’s Centre where he will be joined by beneficiaries and staff many of whom have met and been supported by Prince Harry during his numerous visits to the country. James Mates will lead live commentary of the service from inside St George’s Chapel. SKY - Expect packed coverage from Sky News beginning at 9.00 am BST. 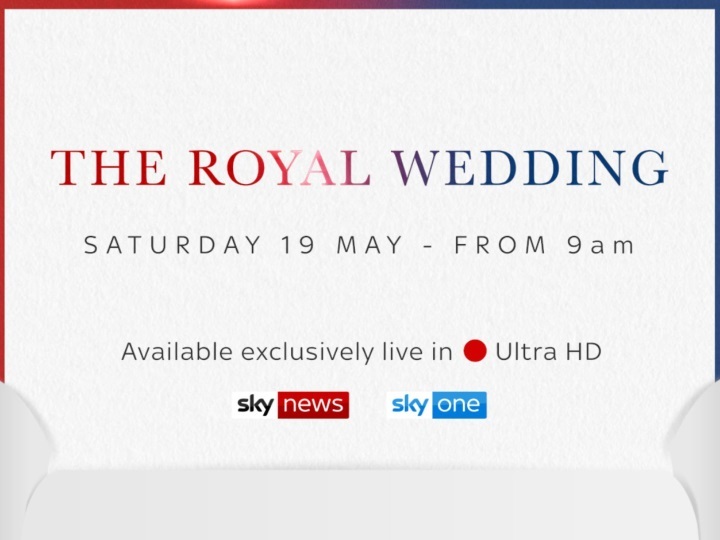 Sky announced that it will broadcast the entire wedding on 19 May in Ultra High Definition (UHD), a world first for any royal event. John Ryley, head of Sky News, said: "What's really exciting and distinct about Sky's coverage of the royal wedding is that we'll be offering pictures in Ultra High Definition, four times the picture quality of HD. "It means that our viewers on Sky will be able to see the wonderful occasion in extraordinary clarity." 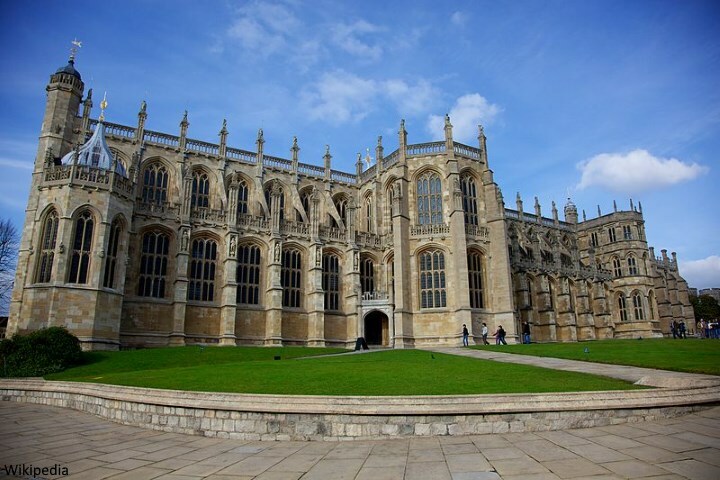 To deliver the coverage in UHD approximately 51 Sky cameras will be positioned around St George's Chapel, the grounds of Windsor Castle and around Windsor town centre. CBS - The following information is via Good Housekeeping: Gayle King and Kevin Frazier will kick things off at 4 a.m. ET and a two-hour special, Royal Romance: The Marriage of Prince Harry and Meghan Markle, will air later that night at 8 p.m. ET/PT. NBC - The Today Show will have hosts Savannah Guthrie, Hoda Kotb, Megyn Kelly, and Kathie Lee Gifford positioned at "a special vantage point” overlooking Windsor Castle for coverage beginning at 4:30 a.m ET. ABC - Good Morning America will start special coverage at 5 a.m. ET with co-anchor Robin Roberts and World News Tonight's David Muir. PBS - A Live Stream will be available throughout the day. E News - The network will be airing E! Live From the Royal Wedding starting at 5:00 A.M. ET. BBC America - BBC America announced it will be providing a live and direct simulcast of BBC’s coverage of the royal event. Elle reports: Coverage of the royal wedding will air live on Saturday May 19, 2018 from 7:30pm AEST on both SBS and SBS On Demand. TV and radio presenter Myf Warhurst and comedian Joel Creasey will pair up with journalist Ray Martin to commentate live on the royal wedding coverage—providing details on the ceremony that you may have missed and a play-by-play of the wedding day. ABC Australia - Kicking off at 7:30pm AEST, Annabel Crabb and Jeremy Ferandez will be reporting on the wedding day festivities. There will be a livestream on ABC iView which will provide uninterrupted coverage of the ceremony. Channel Nine - Starting at 7pm (AEST), Georgie Gardner and Karl Stefanovic will be covering the royal wedding in both London and Windsor. They will be working alongside Camillia Tominey, Dickie Arbiter and renowned royal photographer Arthur Edwards. The coverage will be streamed live on 9Now. TVNZ - The late night viewing will proceed accordingly for New Zealand audiences on May 19-20: - 11pm NZT (midday for them): The wedding service will being at St George's Chapel in Windsor with the Archbishop of Canterbury, Rt Hon Justin Welby, officiating as Prince Harry and Ms Markle make their vows. - Midnight NZT: the newly married couple will take a carriage procession along a route from St George's Chapel through the city of Windsor. ZDF Royals will be live from 11 am. France2 will broadcast the wedding. 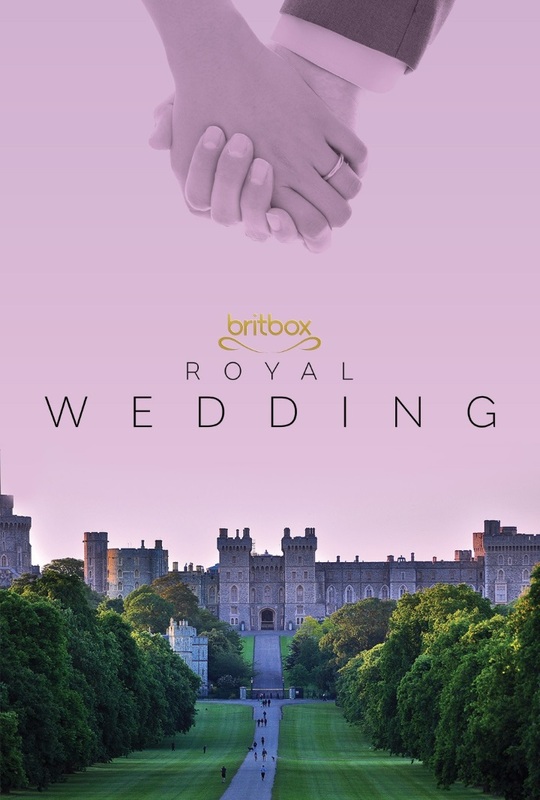 Movie Theater Screenings... 200 US movie theaters plan to air the royal wedding commercial-free on May 19 at 10 a.m. through a partnership between Fathom Events and BritBox, the subscription service from BBC Studios and ITV. To find out if a live showing is in your area, enter your zip code here. 0900 – Members of the public who have been invited to watch the wedding day from the grounds of Windsor Castle begin to arrive. 0930-1100 – Wedding guests arrive at the Castle’s famous Round Tower by coach and enter the chapel through the South Door and take their seats. 1120 – Members of the royal family begin to arrive and enter via the Galilee Porch, some on foot others by car. 1145 – Possibly around this time Harry and his brother the Duke of Cambridge arrive at the Chapel’s West Steps, probably on foot walking past the thousands of spectators invited into the grounds of the castle. The moment will give Harry the chance to acknowledge the 200 representatives from charities he is associated with gathered in the Horseshoe Cloister at the bottom of the steps. 1155-1159 Following protocol, the Queen will be the last member of the royal family to arrive for the wedding service. 1159 – Ms Markle arrives at the Chapel’s West Steps by car, from her overnight accommodation, with some of her bridesmaids and pageboys. She will start her journey, which will take her past some of the crowds in the Long Walk, with her mother Doria Ragland – but when the car stops at the castle her mother will exchange places with the bridesmaids and pageboys. Ms Ragland will enter the chapel by the Galilee Porch and at some point Meghan’s father Thomas Markle will have arrived at the same entrance and make his way to the West Door where he will meet his daughter before the ceremony begins. 1300 – Service ends and the newlyweds emerge at the West Steps of the Chapel. They will be waved off on their carriage procession through Windsor by members of both families. The congregation will file out of the chapel to see the newlyweds leave before heading to St George’s Hall for the lunchtime reception hosted by the Queen. 1305 – Around this time the carriage procession through the streets of Windsor begins taking 25 minutes. 1330 - Guests arrive at Windsor Castle reception. 1900 – Bride and groom departing Windsor castle for the evening reception at Frogmore House hosted by the Prince of Wales. A graphic from The Sun. I've added a Watch The Wedding page and will update as information on coverage/streaming becomes available. We also have our very first Mad About Meghan giveaway; it's one I'm quite certain a number of you will enjoy. 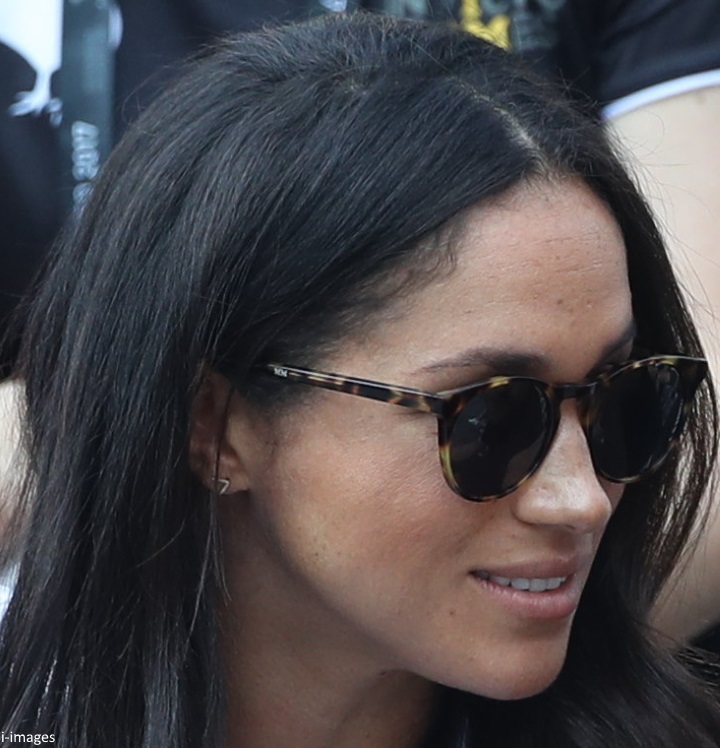 Last week, David from Finlay London got in touch offering to give one lucky reader a pair of Meghan's highly-coveted Percy sunglasses. You might recall Meghan wore them for her first public engagement with Prince Harry at the Invictus Games in Toronto. Meghan’s sunglasses were engraved with her initials - MM - on the outside of one arm (as seen in the image below). Personalised engraving is available on all styles in the collection for an extra £40. They are also available with prescription lenses. The £120 Percy style is described as "the most versatile shape in the collection with its rounded lenses and key-hole nose bridge. Handmade in Italy from the finest mazzucchelli acetate, using 5-barrel hinges and fitted with Carl Zeiss lenses for full UVA/UVB protection." The Percy comes complete with a uniquely foldable Finlay & Co. case and cleaning cloth. Best friends David Lochhead from Aberdeen and Dane Butler from Hampshire founded Finlay & Co. The pair were inspired to launch their first collection of sunglasses after noticing how many people were wearing the same style of frames during a holiday in Portugal. From there, the brand has gone from strength to strength. 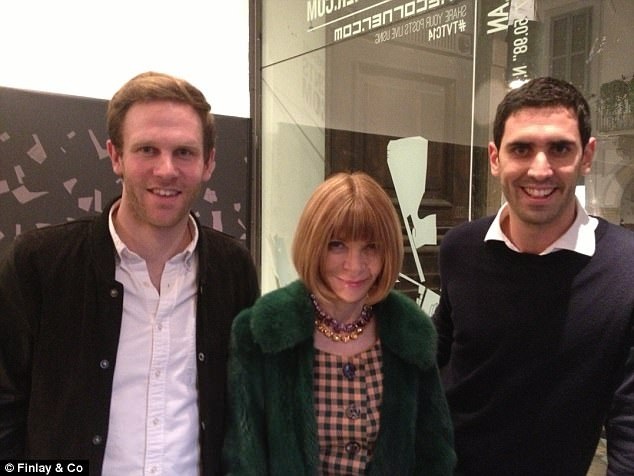 Vogue editor Anna Wintour singled out the brand as one to watch at London Fashion Week. It didn't take long before a host of celebrities including Pippa Middleton, Rhianna, Jessica Alba and Niall Horan were sporting their designs. 'Although at the time they were only boyfriend and girlfriend all eyes were on Meghan's sartorial choices. For the occasion the actress wore what is now a rather foreboding 'Husband shirt' by Mischa Nonoo, a pair of Mother Denim ripped jeans and accessorised with a tan tote bag by Everlane and tortoise sunglasses by Finlay & Co. 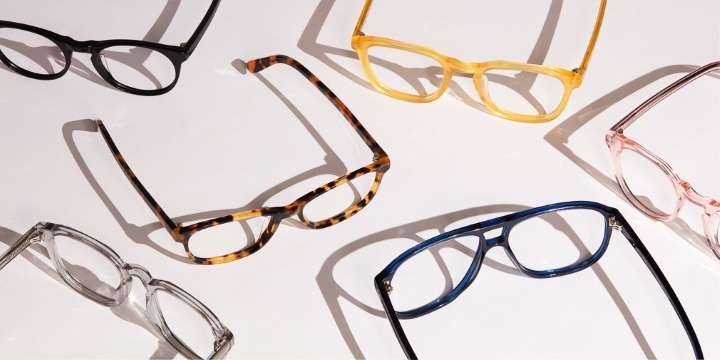 The 36-year-olds entire outfit sold out within hours proving the premature power of 'the Meghan effect', especially for independent British eyewear brand Finlay & Co. Being the most affordable item debuted, the Percy frames ringing in at £120 sold out immediately. The West London based company seeing a 1000% increase in sales, which concluded in the brand making £20,000 overnight. 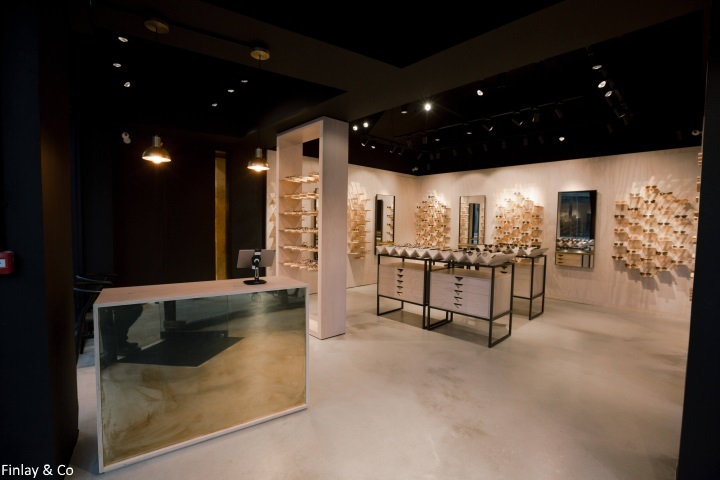 The 'Meghan effect' did not stop there as the brands ever growing popularity even led to them opening a flagship store in Soho, London. 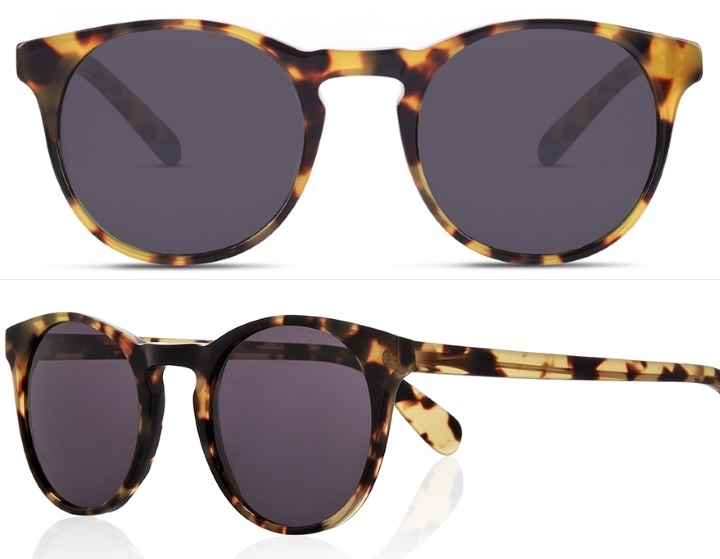 And now after 180 days the royal-to-be's stylish Percy Light Tortoise frames are finally back in stock. Co-Founder David Lochhead has commented, "Around 75% of all pairs sold online in the last six months were of the Percy style, so we're delighted to have this product back in stock online and also available in-store ready for Spring." The popular Percy glasses are available in several shades including amber, black, champagne, rose and ocean blue. The brands offers free worldwide delivery and free returns. 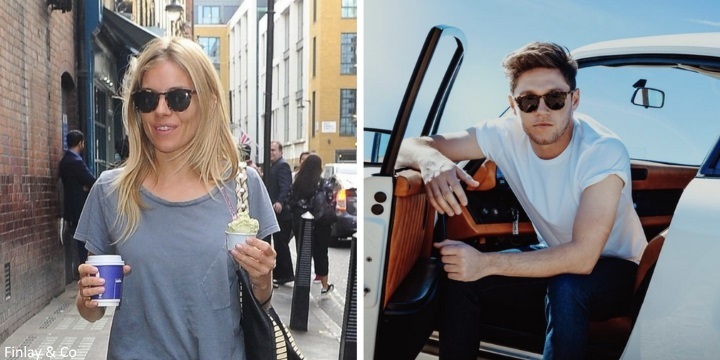 Below, Sienna Miller and Niall Horan wearing their Percy frames. Subscribe to the Finlay London newsletter by signing up with your email address (the newsletter sign up is located at the bottom of the homepage. Followed on twitter! Very excited for the wedding! Thank you Charlotte, this is so helpful! I entered via Instagram! Thank you for recapping all of the ways that we can view the festivities! I had no idea that Fathom was going to do a movie theater showing...that is so cool! Can you all believe the big day is only 12 days away? I can only imagine the energy that must be flowing through KP and Windsor right now. What an exciting time! Congrats on landing the first giveaway for the MAM blog! I followed Finlay on Twitter. I'm looking forward to experiencing the wedding with everyone. Have a great week! Thanks for putting this page together; it’s very helpful! Followed on Insta and Twitter! Currently shopping for sunnies-thanks for offering the giveaway! I've set my DVR to record! Thanks for summarizing all this info! And I'm following on Instagram. I subscribed to the newsletter for a chance to win the sunglasses. Thanks Charlotte for setting this up for us!! Followed on instagram! I'm so excited for this wedding and I like meghan's style so much! Followed on instagram! I'm so excited for this wedding! I'm going to a restaurant for a watch party. Super excited! I also follow on Insta. Thank you so much for this post, Charlotte. You are wonderful! I followed them on Instagram. Followed on intsagram! Gorgeous sunglasses! What a precise listing of the ways to watch THE WEDDING. Here in the States, I remember getting up in the middle of the night to watch Diana & Charles wed. I am so looking forward to THE WEDDING and have followed everything possible about it. I signed up for the newsletter in hopes to win the glasses like Meagan's. Wish me luck!! This is so exciting and getting so close! I've subscribed to the newsletter - thank you for offering the giveaway! I have signed up for their newsletter. Those sunglasses are excellent. Wow, it would be so cool to see it on the big screen! The closest theater to me is a hour away though and I really want to watch it live. Wow, only 12 days! I am ridiculously excited, as I know everyone here can understand. Those sunglasses are great, even though I'd need to get prescription lenses in them, but their regular frames look great, too! I signed up to their newsletter and I'll follow rheir Instagram, too. In watching news, I also read that PBS in the US is going to be doing a short daily update the week before the wedding. As soon as I can confirm it in their listings, I'll record that, as well as recording the PBS coverage of the wedding, but I'll watch BBC America for their simulcast of BBC. Thank you so much for a the information, Charlotte, you're the best! Followed on Instagram. Thanks for this blog and your blog about Kate! Charlotte, thank you for the information. You are the best! Followed on instagram. Thank you! I feel rather smug. :) I've had a pair of these sunglasses for quite awhile, I bought them at Barney"s in NYC last year. Charlotte this post is phenomenal! I'll watch on PBS to avoid the American pundits. I'm so excited about the wedding and the future of the Duchess of ????. This blog and Duchess Kate are the best, I hope you know how grateful I am for all your good work. Followed on instrgram! Thanks so much for the helpful schedule of events! I subscribed to the email list and just adore the sunglasses! I am so excited to watch the wedding with my 8 year-old daughter! It’s her first royal wedding, and she is my little princess in training! Emily, I keep my fingers crossed for you! What a nice idea and I´m sure your step mom would be delighted!! Thank you for this wonderful information. I entered on Instagram! Fun! Following them on Instagram! Charlotte, this post was a LOT of work and thank you so much! The times & channels for watching the wedding coverage means a lot! I have just subscribed today for the newsletter. Cannot wait for the the wedding to take place on the 19th of May! Sure hope that I win a pair of the sunglasses....... congratulations to everyone! Followed Finlay London on Instagram! I started following them on Twitter. Thanks so much for all the helpful updates! Very informative, most helpful post. Thank you very much, Charlotte. Followed on instagram! Thank you for this helpful info! Amazing information, no need to miss a single moment. Thank you! I desperately need new sunglasses after losing mine this week! Have followed on Twitter. Following on Instagram! Thank you! What an amazing story about the Meghan Effect on Finlay and Co.! Made 20,000 pounds overnight!! I signed up for the twitter account. I can’t wait to watch the wedding! I’ve signed up for their newsletter as well as followed them on Instagram and Twitter! Hi Charlotte, Thanks for all the updates. You answered a lot of my questions that I hadn’t asked yet. I entered the contest by subscribing to their newsletter. I’ll comment more tomorrow—I’m about to leave on vacation! Great collaboration! I followed them on Twitter. Very much looking forward to your live blog on May 19th and watching the wedding live from Florida! Followed on Insta! Love these shades. Followed on Instagram (booksteachocolate). Super excited for the wedding! Thank you, Charlotte! I entered the giveaway by signing up for the Finlay London email newsletter. Followed on Instagram. Great post!!! I subscribed to the email list!!!! VERY EXCITED ABOUT THIS SATURDAY!!!!!!!! Every day is a day closer - I can’t wait!! So excited for the wedding! I followed on Instagram! Followed Finley on Instagram. Crossing my fingers! Sending love from the U.S.
As an American with the opportunity to watch the wedding coverage on either ITV or BBC, I’m very interested to hear your opinion about which you think would be the better choice? I’ve just followed Finlay & Co on Instagram and Twitter (because I think I’ve alrrady subscribed to their newsletter! )...I’ve been drooling over those glasses for awhile now :) I loved Emily J’s idea to gift them to her aunt - so very sweet - fingers crossed she wins! Thank you, Charlotte, for your excellent dedication as a blogger! Your blogs are excellent - so enjoyable and informative. I'm with you on that one! I'm torn between Sky, BBC and ITV. I watched William and Kate's on Sky and commentator Alistair Bruce will be on hand again. I'll likely follow the early part of the day with Sky and then ITV from there. Whatever you choose, all three are planning thorough and live coverage. A very helpful post. THank you, CHarlotte. I think I will stick with BBC.........AND have plenty of coffee on hand since I will be up very early to watch the wedding! Following via newsletter! Charlotte, thanks so much for both of your terrific blogs and for this extremely helpful post. I can't wait for the big day!!! Thank you! I followed them on Twitter!! Thank you, very nice sunglasses! And growing excitement for the wedding. Subscribed in newsletter. I followed on Instagram! Thanks so much for such a helpful Royal Wedding post! So excited about the wedding...sadly it means watching at 4am! Lovely glasses! I will keep my fingers crossed. Thanks, Charlotte, for this comprehensive update! In Germany, you can also watch the wedding on RTL, available via satellite and cabel and on N-TV. Both ZDF and RTL start their coverage at 11am CET, N-TV at 12am CET. ZDF will most certainly live-stream the wedding on their website, geo-restricted to Germany only, though. For those who missed it - or can´t get enough (LOL! ), there´s also a 45min summary on ZDF at 19.25pm CET and at midnight CET on Phoenix channel!! Charlotte could you please mention the rest of Europe as well, that is more then France! Thank You! I signed up for the glasses via their site and email. They are great looking glasses. The wedding pictures will be fun to see. So many choices to watch it. Signed up to Finlay and Co newsletter too. Thx for sharing. I really liked what Meghan wore to the invictus games and just love those sunglasses. I've signed up for the Finley & Co newsletter! I’ve followed on Instagram. Thank you! I’m so excited for the wedding and with newborn twins being awake at 4am for the live broadcast should be no problem! Followed on Instagram :) Thanks!!! Can’t wait for the wedding day - will be watching on the BBC & following your live blog too Charlotte!! I missed William’s & Kate’s wedding so am going to make the most of this one! How exciting! I am taking part to the competition by following Finlay on Twitter. Thanks for the opportunity! Followed on Twitter. Excitement is off the scale now!! Followed on Instagram, love those sunglasses! Signed up for their newsletter. Thank you for all the information! WooHoo-I can’t wait. Who doesn’t love a royal wedding!! Signed up for Finlay's newsletter! This is a great giveaway - really hope to win, but if I don't, I may purchase anyway - love the free shipping and free returns! Followed on instagram (I'm royaladdicted2)! Love your blog! Can't wait for the wedding!! Enjoying the Mad About Meghan blog. Already use HRHduchesskate blog. Signed up to email re sunglasses and keeping fingers crossed to win a pair! Thanks for the chance via your brill blog. Charlotte, I love your fabulous blogs on Meghan and Kate. Just started following Finlay London on Instagram! Thanks for keeping all of us Royal followers informed! Thanks Charlotte for all the viewing options. I am an Australian girl, and I will be watching with my Canadian friend in Fukushima Japan.... I am wondering what the best option for that will be? What a universal appeal hey! A British prince marrying an Afro American woman watched by an Aussie and Canadian in Japan! The world is a small place indeed and it will be a great day. Thank you again for all of your good work Charlotte. It is such a pleasure to read. 🌸 good point, 12:27. 🇬🇧🇺🇸🇦🇺🇨🇦🇯🇵 It is a small world these days. LOVE those sunnies! Already following on Instagram! I am following on instagram! Love these sunglasses! Thank you for the update; I’m planning my watch party and this helped tremendously. Signed up on Instagram and look forward to the drawing. I subscribed to their newsletter. Thanks so much! I don't usually enter contest but those sunglasses are very pretty! I was awake last night with burning questions and wondered if anyone had answers or at least opinions. Normally, when the Queen enters last, does Prince Philip enter with her? Granted he may be a wheelchair and have come earlier this time. Would Beatrice/Eugenie's mother be sitting with nonroyals? If so, would that be just to keep her out of the way of Prince Philip? And I'm realizing how many relatives there are on Harry's side---would you expect Meghan's closest friends to also be invited to Prince Charles' evening reception? Thanks. Allison, if Prince Philip is well enough to walk, he will enter the church with HM, the usual two steps behind, though (;-)) ). If he can´t walk, but wants to attend, I guess he will enter the church through a side entrance. We´ll see. Might be tough for him, he´s just had the operation and I somehow doubt he wants us all to see him in a wheelchair...you know how these "old warhorses" are.. I´ll keep fingers crossed he can be there! I highly doubt we´ll see the Duchess of York amongst the royals - simply because technically she isn´t one anymore (no HRH). It will be interesting to see how and where they place her, though.. ;-))) Maybe well out of reach of Philip´s walking stick? LOL!! I´m curious what everybody else is saying!!! Thanks, Eve! I started thinking about this because Fergie is not invited to the evening reception but I thought there may be hop that PP will attend and Charles would rather snub Fergie than his father. Which is what I would do, too. Then I realized that Charles' reception seems to be HIS reception so I wondered about Meghan's (and Harry's) friends from Canada and all of Harry's running buddies and their now wives. Wish we had a small camera waiting there! Allison, LOL!! I´m just seeing in front of my eyes stick and wheelchair flying - and some "appropriate" words from PP following them!! LOL!! Honestly, I cannot imagine Sarah sitting anywhere other than next to her daughters and "the best looking prince of the bunch." (According to HER!) Seriously, the goodwill achieved in inviting her would vanish in a nanosecond if she were to be seated away from her immediate family. And if PP does attend, he would arrive after her, and leave before, so I don't think he will need to reach for the walking stick. Not on this occasion, anyway. What an amazing post!!! Thank you Charlotte for your comprehensive information list as always. I followed on Instagram. Hoping to win the sunglasses, they're fabulous. Subscribed to their IG feed! Thanks for the giveaway! Subscribed to the newsletter! Would love a pair of these sunglasses! I followed them on IG! Love the sunglasses. Thanks for the giveaway and all the helpful info. Omg my sunglasses look exactly like Meghan’s, but mine aren’t From Finley though. Followed on IG!Thank you for all of your wonderful updates and for the giveaway! Followed on IG! Love the blog and the giveaway! Thanks so much! Subscribed to the newsletter. Thanks! I would love to win a pair of the sunglasses! I’ve followed them on Instagram under the name “goatlisa”. Thank you for this opportunity! Followed Finlay London on Instagram. Absolutely love your blogs and follow them daily! Followed on Instagram and Twitter! Love those sunglasses. Great work on your blogs Charlotte. I read them all the time and only posting for first time now. Can’t wait for May 19th! Just noticed Event Cinemas are screening it in Australia. Thought it might be Gold Class which would make the experience more enjoyable however it is regular Cinema seating. Duration 4 hours - might be more comfy watching from home? It is my sons 18th Birthday that day - born 19th May 2000 - maybe we can do a birthday lunch so my evening is free haha! I subscribed to the newsletter. Thanks for all the great information in these wedding posts. Can't wait for the big day!! Followed on Instagram! I've been thinking about getting a second pair of prescription sunglasses. Followed on Instagram! 🤞 Thanks for the opportunity for a new pair of sunnies! I’m in California, so I’ll definitely be up all night watching wedding coverage. I work in bridal, and have been dreaming of her dress for months now. I’m predicting a Watteau train or cape—royal but Bridal. We’ll see! Charlotte- I just watched the E special “the real princess diaries, from Diana to Meghan” in America and it was very good! I’m sure it will be on again or is somehow available online.. Followed on Instagram. Can't wait for the royal wedding!!! Started following Finlay on Instagram. Having a viewing party in the U.S. starting at 4:00 am! Followed Finlay&Co on Instagram - thanks for the giveaway! I followed Finlay London on Instagram. Totally excited - I subscribed to their newsletter :) thanks for the opportunity! Thank you Charlotte for this list. You are amazing. I'll watch it on BBC America or BritBox or PBS. Forget the main networks like ABC or NBC....the hosts (TV "personalities") will ruin it with their inane commentary. I subscribed to the Finlay London email newsletter. Love their glasses! I subscribed to the newsletter. Thanks for the giveaway. I subscribed to the Finlay email. Thank you for the opportunity to possibly win a pair of their glasses. Not sure yet how I'll watch it but thank you for showing us so many options! I will get to see the Bride and Groom departing Windsor for Frogmore House (I thought it was FrogMERE House--makes more sense to me) There is the evening CBS re-run. Otherwise, I will probably sleep through most of the live wedding events as I slept through Louis happening. An old lady needs her sleep! Thank you so much, Charlotte, for delivering information on how to watch the royal wedding on TV worldwide. You even announced the German channel ZDF which covers the event - how comfortable is that? I will definitely watch TV with my laptop at hand, so that I can check your blog 24/7. I am very much looking forward to it. Thanks for your work, I appreciate it so much. I followed Finlay on Instagram. Can't wait for the wedding!! Love the sunglasses. Just the style I would wear. I subscribed to the newsletter. I subscribed to the Finlay London email newsletter. Thanks for the draw, Charlotte, and for the great blog! Hello, I followed Finlay London on instagram. So, so excited for wedding day. Hope it's sunny!!!! I am so excited for the wedding! Will be watching by myself as my family is not interested. Still very much looking forward! I love those pretty sunglasses, hope they would look as nice on me as they do on Meghan. I have followed their instagram account. I've followed Finlay on Twitter. Thanks for the draw Charlotte and Finlay! I am torn between watching E & BBC America. Can't flip back and forth because I'll miss something. Do y'all think BBC will be commercial free? I have to plan my menu, I'm sooooo excited and ready for this. I followed them on Instagram! Thank you for the giveaway! Signed up for Instagram. Looking forward to watching the wedding from Toronto, excited for their big day! Thanks for the contest, Charlotte. Hi Charlotte I signed up for the newsletter. Never commented before but thanks for all your work. I have entered the giveaway by subscribing to the newsletter of Finlay & Co.
What if I already had a subscription to their newsletter? Do I get extra points for being head of the curve? I did just follow them on Twitter. I don't have instagram, but if I did I'd follow them! Lol bluhare, maybe you get extra points for being ahead of the curve! Can't wait for the wedding! Hi! I followed on Twitter! I want those sunnies! I've followed Finlay London on Instagram. Thank you so much for the opportunity to win these great-looking sunglasses. I've been looking for a pair of tortoise shades. It would be amazing to win these. Following on instagram. Beautiful images. Following on instagram. Beautiful pics. Been reading all sorts of interesting rumors. Lie their song will b Whitney Houston's "I Want to Dance With Somebody," which seems pretty hot. Like MM will show her dress to the Queen days before the wedding---maybe she and the Queen and Doria and Camilla can have a girls' night. And I hope the dad doesn't mind meeting the family (Harry's). It sounds like so much fun---Will had said last November that this was the fun part and he's right. And it should be so cool having her "Suits" boyfriend and father also at the wedding---that creates al sorts of fun group photos. Love the sunglasses - have signed up for the Finlay newsletter! Thanks for a wonderful, reliable, royal resource! Hey Charlotte, did I miss when the giveaway ends? I signed up for the Finlay newsletter. I moved to Hawaii a couple of months ago and could really use a quality pair of sunglasses!